The Cover Contessa: Please Welcome P.T. Mitchell! 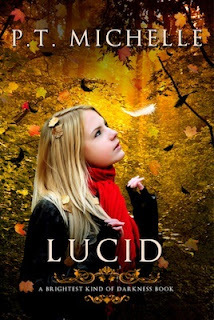 Today I'd like to welcome another fabulous Indie author to my blog and to Never Too Old for YA Books: P.T. Michelle. P.T. 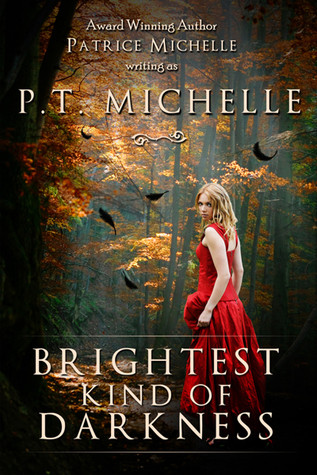 Michelle is the young adult pseudonym of Patrice Michelle, author of fifteen romance novels and novellas. When PT isn’t writing, she can usually be found reading or taking pictures of landscapes, sunsets and anything beautiful or odd in nature. And now, let's hear what P.T. had to tell us! 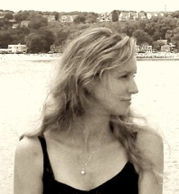 For a full-length novel from start to finish, any where from two to three months. Then I have my critique partner's edits and my own rounds of edits which can add up to a month and a half more time before the book is ready to be published. If the writer can make me empathize with the characters, even if they do things/make decisions I wouldn't, then that's good story telling. As to what makes a great story, for me it's the combination of the above as well a twisty plot and a deep character arc. The main character will go through ups and downs in the story, but by the end I want the main character to have changed/grown, hopefully for the better, but at the very least with more understanding. When I'm in the full throes of writing a book, I'll work at least six hours a day on writing. Writers are typically very observant people. My ideas come from everywhere: a snippet from a newspaper headline, a partial conversation, a lyric from a song, or a scene from a movie. I find everything inspiring! How the writing mind works in the background, the subconscious chugging along on autopilot, writing scenes that at the time seemed innocuous but later became pivotal to the plot line or character arc. Yes, I do plot/plan as much as possible, but the muse "having a mind of its own" has happened enough times to make me sit back and say, "Wow, how'd I KNOW to write that?" Certain quirks that make up a character might come from several different sources, but I've never based a character on a specific person. A coffee shop. I can just get away and write. No family distractions, no Internet. I get so much writing done this way! When I started writing in 2003 there weren't many publishing options, but today there are so may options/career paths for authors to choose: traditionally publish, self-publish, publish with a small press. Each avenue has their own benefits and pros and cons. It's up to the authors to decide what they want and then choose a path that suits their needs. Some paths are easier access, others harder, but the work behind the scenes...THAT never changes. It's just as much time and effort to self-publish a book as it is to be traditionally published. Actually, it's more work if you do it right, because you are the: author, editor, copy editor, cover artist, back cover blurb writer, advertising, marketing, legal and finance department all rolled into one. My family is very supportive and proud. I love to take pictures! If I wasn't a writer, I would probably go back to school for photography and graphic design. First, read a LOT. Every time I read a book I learn something. Reading taught me so much about the craft of writing. If aspiring authors are writing any romance in their books, RWA has wonderful chapter to help authors learn the ins and outs of the publishing business. Absolute Write is another place where aspiring authors support each other. Also, if you write YA, there's the Society of Children's Books, Writers and Illustrators as well as Vera Kay's Bulletin Board (aka the Blue Boards) are great resources. I loved the The Swiftly Tilting Planet and The Chronicles of Narnia. Many authors inspire me, but the earlier ones were Madeleine L'Engle and C.S. Lewis. 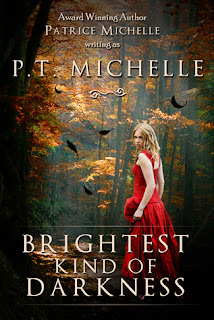 I'm finishing up one of my adult romances, and then I'll be working on the 3rd book in my YA series, BRIGHTEST KIND OF DARKNESS. Thanks so much for stopping by and chatting with us, P.T.! It's been great having you here! Good luck with your 3rd book! I know, Julie, aren't the cover just so pretty?? ?